Washed my new 2019 SE today. As I was wiping down the engine bay, I found a small plastic bag with some water in it located directly behind each headlight. 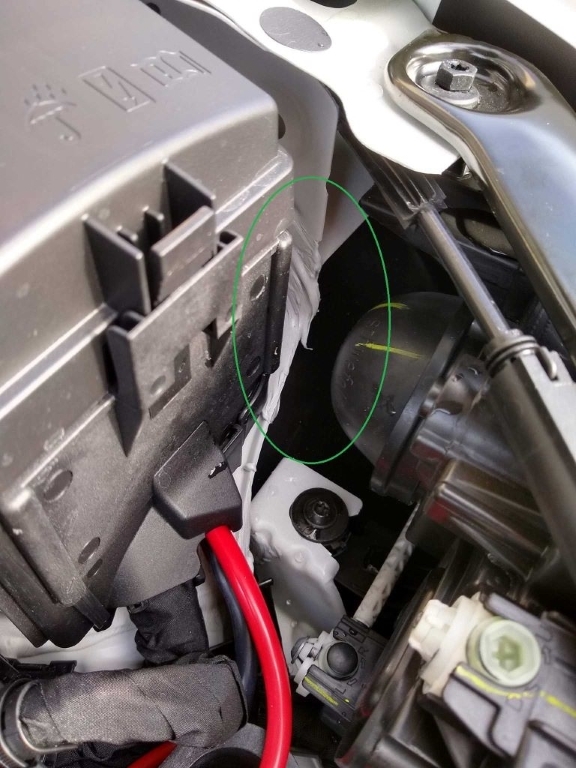 Turns out is VW Part # 5G0 864 725, which is just a gray piece of foam wrapped in a plastic bag used for sound deadening. Obviously, the plastic bag was ripped, likely during assembly when it was stuffed in the gap and water from washing the car soaked into it. I pulled both of the sound deadeners out, since I figured any noise/vibration is nothing compared to an incredibly poor design that's guaranteed NOT to withstand the elements and invite rust, mold, etc. What's even worse is that it's located directly below one of the drain channel holes between the fender and hood gap. I don't recall seeing this sound deadener in my 2016. I should know since I replaced the 2016's halogens with Ed's Golf R replicas and added HID's. Anyway, the attached photo shows where you'll find it on the driver's side. As I said, and equivalent is located behind the passenger's side headlight too.